Located completely within the property of Christ the King, Lake of the Sacred Heart is a great place to swim, boat and fish. Guests may use the beach under the supervision of parents during posted hours. Lifeguards are available at a nominal fee for guest groups staying at Christ the King. Canoes, kayaks and personal flotation devices are provided. 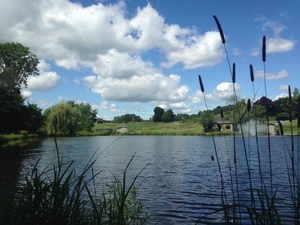 The lake is ideal for picnics! 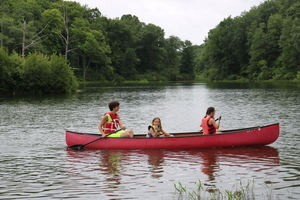 A Lakeside Campsite is available by reservation for individuals and families. The site is also available for tenting groups like Boy Scouts and Girl Scouts. Fishing at Christ the King is Catch & Release.